Professor Elizabeth Shove is a sociologist at Lancaster University, UK. Elizabeth has written about everyday life, inconspicuous consumption, and the dynamics of social practice. 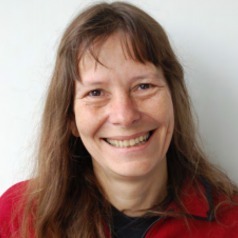 She is currently co-director of the DEMAND (Dynamics of Energy, Mobility and Demand) Research Centre- see: www.demand.ac.uk. She previously held an Economic and Social Research Council (ESRC) fellowship, Transitions in practice: Climate change and everyday life: for more details and link to the "extraordinary lecture" on how social science can help climate change policy, see: .http://www.lancaster.ac.uk/staff/shove/transitionsinpractice/tip.htm.